A beautiful example of what it means to be a Helping Ninja! We are so inspired by this story and think everyone should know about this organization and these students are helping to make others feel included! Thank you for making a difference and starting We Dine Together! Helping Ninjas would like to welcome our very first Brownie Troop to become Helping Ninjas! We are honored to have you aboard and helping us with the mission to help others and our planet! As our first official Brownie Troop to join us, we are making your an honorary member! 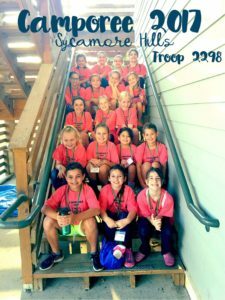 Welcome Brownie Troop 2298 of Spring Hill Tennessee! Accept the Ninja Mission and thank a firefighter today! Thank you Karoline from Spring Hill Tennessee! Karoline gave us a great idea for a new Helping Ninja Mission! To take the time to thank a fire fighter! She is right! Fire fighters protect our communities everyday, they deserve to be thanked! You can do this by visiting a local station, or even making them thank you cards! 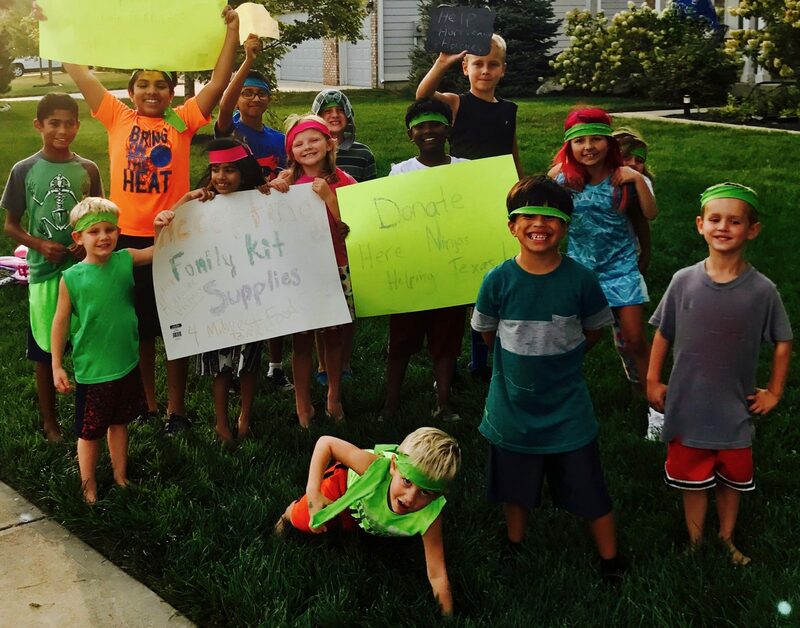 The Helping Ninjas wants to help support Karoline’s wish and fire fighters across the globe! We are thankful for all fire fighters! Thank you Karoline for being an inspiration and aHelping Ninja! Hi! 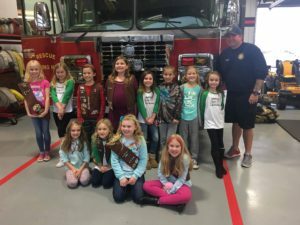 I am six years old and my Brownie Troop visited the Spring Hill Fire Station No.3 in Williamson County Tennessee. Our troop made chocolate brownies and took them to the fire fighters at the fire station and thanked them for their service! I think everyone should be a helping ninja and thank a fire fighter in some way. Helping Ninja, 9 yrs old, Third Grade, Spring Hill, TN Brownie Troop 2298. Kids Compost: What is Composting? Things of My Very Own Org. These Christmas tree tags list something more important than the year’s hottest toy. 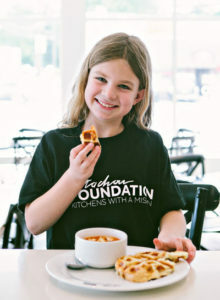 I love to see the kids we serve make deep connections to the food they eat. Not only does it help them to create lifelong healthy habits, it encourages them to ask questions about the world around them. Last week, we served salads with crumbled falafel (ground chickpea patties) and locally sourced chicken during our after-school meals, and it had the students asking a lot of questions. One of our volunteers explained that falafel is Middle Eastern, and they discussed the various spices in the recipe. Then we chatted about the chicken, which was raised by a local farmer. We strive to provide opportunities like these for kids to get curious and ask questions about where their food comes from and how it’s made. That’s why we established our Food Explorers Club, a 10-week hands-on curriculum with a focus on experiential, interdisciplinary learning through growing, cooking, and trying new foods. We recently applied two of these foundations, Food is Fun and Food is for Sharing while making guacamole as a group. We learned about the five different tastes (sweet, salty, sour, bitter, and umami) as we sampled each raw ingredient including tomatoes, avocados, and red onion. We then combined them all to make guacamole from scratch: a fun and messy project! It was a reminder that food is fun, even when we’re cleaning avocado off our shirts. We hope that by giving students the opportunity to experience food in a variety of ways, we can create a positive impact on their choices as they grow older. 13 million kids in the United States struggle with hunger. What does this mean? Childhood food insecurity is the percentage of children under eighteen years old living in households that experience limited or uncertain availability of nutritionally adequate and safe foods at some point during the year. Food-Insecure Families Food insecurity—the limited or uncertain availability of nutritionally adequate and safe food— exists in 17.2 million households in America, 3.9 million of them with children. 25 % of households with children living in large cities are food-insecure. Nearly one in six children in America lives in households that struggle to put food on the table. Hi I’m A Helping Ninja! I love The Sweet Ruby Special. It’s like a waffle but a grilled cheese! It tastes sweet and delicious! And what is so cool that when your order it at Cafe Patachou they give your money to help kids that are hungry and can’t afford to eat at the time. So, I can help kids too to by eating it! I like like dipping the waffle in the tomato soup. The soup has artichokes for you and they are good for you because they have lots of fiber. I hope everyone will try the Sweet Ruby Special. Thank you Ruby for your lemonade stand. Because of you, I get to help too!